Lean Heng Chan, PhD., is a popular educator and an Associate Professor at the School of Social Sciences at Universiti Sains Malaysia, Penang, Malaysia. Her areas of involvement are concerned with working for social change: participatory research, gender, labour, NGOs and capacity building for sustainable participatory development. She is especially passionate about engaging with practitioners and communities for transformative change and has been active in participatory capacity building with various grassroots, local, regional and international people-centred organizations for over 30 years. She is involved with various networks to foster engaged scholarship. 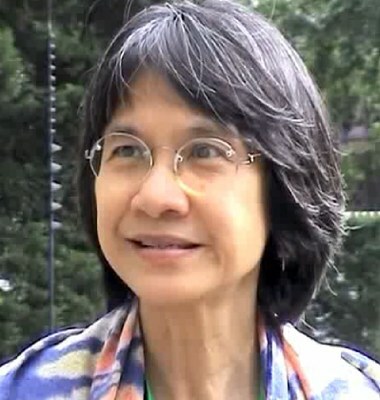 She is founding member of the Academe Civil Society Network in Asia, and serves in the exco of a global network of networks: Global Alliance of Community Engaged Research. She has also undertaken engaged research collaborations with various community groups and consultancies with Commonwealth Foundation, Graile International-Training for Transformation Program, Action Aid-UK, UN-ESCAP, UNESCO-APEID, ICAE, HIVOS, the World Bank, IDRC and SEMEO-INNOTECH. "Universities have to use pedagogies where students are actively engaged with communities"
Lean Heng Chan reflects upon the role of higher education to educate active and responsible citizens and the importance to engage with community so that staff and students get reconnected with the problems of society, with the social realities of their environment. How can higher education become an agent for social transformation? Higher education can and must play that role. We are in regular contact with students all the time, and students are the future hope, so, working with students to develop social commitment in their work and life is critical. We should not only teach content knowledge through the courses, but also through our relationships with students to inspire their concern for a more humane and sustainable now and future. Through our teaching we can engage with them to explore their understandings of the world we are in, and how we have to be concerned and engaged to bring about the change that is necessary in our turbulent unsustainable world. The materialism of our current generation deprives them of developing their commitment, conviction and compassion. We can just learn about the issues of society as objective facts ‘out there’, or we can learn that these issues are part of us and we are part of the issues around us, part of the problem or part of the solution to bring about constructive alternatives. The kind of messages that we teach through our content, the kind of pedagogies and methodologies that we use, right now are very didactic. We need more engaging pedagogies where students can learn with not only their head (intellect) but also with their heart and hands, where they can be actively immersed with communities, with the issues that they are learning in the lecture halls. For example, if we teach them about community work, we need to bring them out into the community to understand the context of people’s diverse realities (in contrast to their own). We can then analyze with the students (from the standpoint of the community and not from the students’ privileged position) what causes that kind of situation and from that analysis we put forth a strategic plan of action in partnership with those affected. So it is not only through the content but through the methodologies we are able to bring students back to society, to understand from under, from the perspectives of the community. How can higher education contribute to educate active and responsible citizens? Higher education can no longer exist within the dense walls of the ivory tower. It must be relate to society or be obsolete and irrelevant. We need to be engaged with society, to be part of society. So higher education has to find ways not only to be actively involved but to be sustained in this engagement. Not only to research people and problems, but to research with people and to find solutions to the problems. Through this process research is no longer just collecting data or facts, but a process of engagement with people to understand the problems, analyze them and then to be actively involved in developing solutions enhancing a partnership in the co-creation of knowledge. Could you mention some examples for what you’re saying? In the past two decades because of the fact that most universities are actively pursuing world class excellence, the kind of knowledge that has been produced has become very much commercialized. One is not saying that it’s not useful, some of it is necessary, but as a whole it has become totally disconnected with society. One of the important tasks of higher education is to reconnect our students to the realities of life, to the urgency of our unsustainable world. This can be done through the courses we teach especially via the assignments, by requiring students to do their field practice, by learning with the community while they fulfill their academic requirements. Some universities are starting to rethink the way they teach and are seriously reorienting education to address sustainability as engaged scholarship. This kind of work has been frowned upon as activist and not academic work, because there is little understanding of what engaged scholarship is especially in certain countries such work was seen as communist and anti-establishment where issues of justice and rights are rights are involved. Indeed we need a more enlightened understanding and practice of engaged scholarship and engaged research. It is happening, in any case, irrespective of the support or recognition of universities. In the past decades many academe are quietly doing the work and networking among themselves. The Academe Civil Society Network in South-East Asia has recently been registered with the ASEAN Secretariat to encourage Academe to be more involved with civil society, to enable academe to be more socially relevant and responsible. Likewise, the Alliance for Universities Social Responsibility in Asia has also been established. GACER, the Global Alliance for Community Engaged Research, a network of networks, is also collaborating with networks in different continents to strengthen community based research and engaged scholarship. How can higher education institutions implement these changes? The biggest challenge is the current academic culture of ‘publish or perish’ which discourages academe who are already only concerned with their career track. Things are changing, though. A number of universities have set up offices to promote community engagement even though takers among the academe are few currently. In my university, after thirty years, they’ve set up an official division that is called Community University Division. And they are trying to get our faculty to be more involved in this kind of work. I think there has to be a better understanding of what engaged pedagogies mean. And it’s not just doing community service, but really engaged scholarship developing co-produced knowledge and not just providing volunteer welfare service to people. Universities have to recognize that community engagement is fundamental to higher education own survival and provide the necessary support and recognition. Academe has to learn how to share power and respect people’s lived wisdom and knowledge – we have to ‘deprofessionalise’ and ‘politicise’ our practice. We have to learn to unlearn and learn from the community before we can actually understand what their problems are from their standpoints, and work with them to address the problems. This approach requires a dynamic integration of knowledge from the different disciplines as well as experience and lived wisdom as legitimate knowledge. Indeed we need to re-orient academe to understand and learn what is praxis.